EyeSight Mobile technologies, makers of the eyeCall app for feature phones, announced that they are hard at work developing for the Android platform. What’s the big deal? Well, imagine being able to answer a call, control your mp3 player or play a game just by waving your hand over your front facing cam on your handset. This is what eyeSight Mobile can do for you! 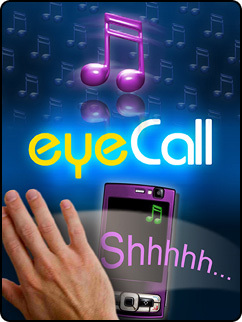 EyeSight has had some success using their eyeCall application on feature phones, namely Nokia handsets. We will see if this is something that is going to translate well over to the Android platform, using new handsets like the EVO that have a front facing cam. Check back for more info as it becomes available.